A decade box is a type of test equipment that can be used to substitute the interchanging of different values of certain passive components when you need adjustable value in electronics laboratory. Decade boxes are made for resistance, capacitance, and inductance. Decade boxes are typically quite expensive devices (compared to other cheap electronics parts). I have wanted to have thing like this in my laboratory, but I have not wanted to spend the money to buy a ready made or spend some money and lots of trouble of making one. Just some time ago I saw something that would seem to be an acceptable and reasonably priced (around 8 Euro / 9 USD). 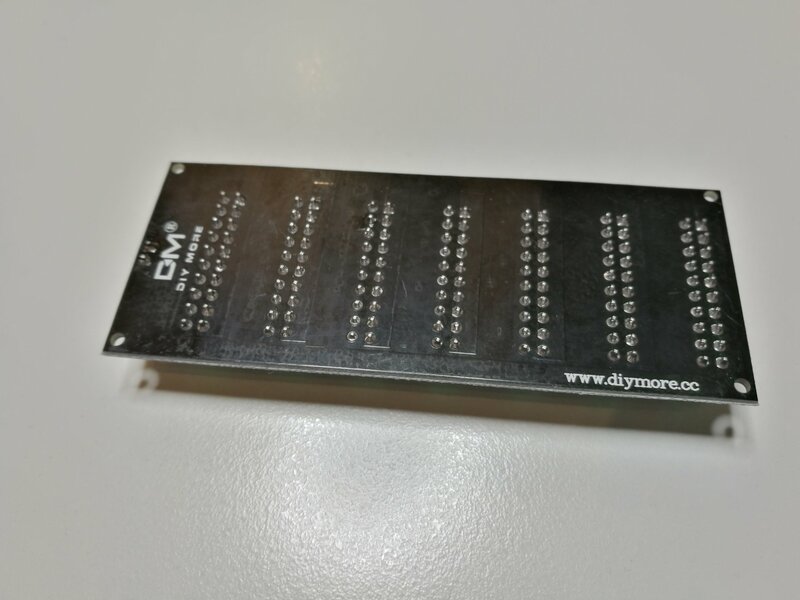 200V 1R – 9999999R Seven Decade Programmable Adjustable SMD Resistor Slide Resistor Board Step Module promises to be a“resistance substitution box” good low-cost alternative solution, can flexible and quick setting resistance range from 1 ohms to 9999999 ohms (~10 mega-ohms). The step accuracy is one ohm. 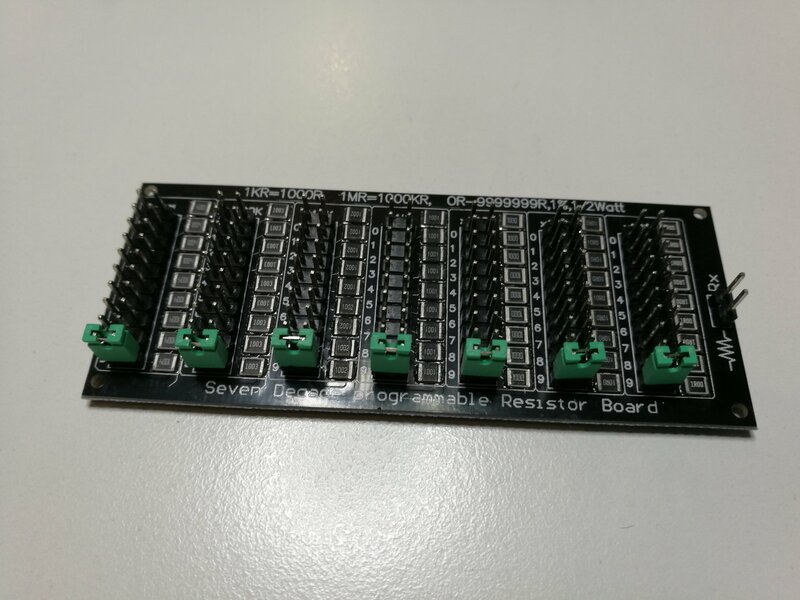 The resistance value is adjustable by moving jumper blocks on the circuit board – that not as user friendly as rotating controls but acceptable user interface. High quality FR4 glass fiber PCB. Programmable Resistance: 0 to 9,999,999 ohm, 1 ohm per step. On the basic tests the device the resistance values I get seems to be well within the +/-1% tolerance. I did the test with my most accurate 4 1/2 digits Mastech MS8208 multi-meter on several resistance values, and I always got what I expected. Based on the resistor types and size on the circuit board, that half watt power rating and 200V voltage rating seems to be reasonable. 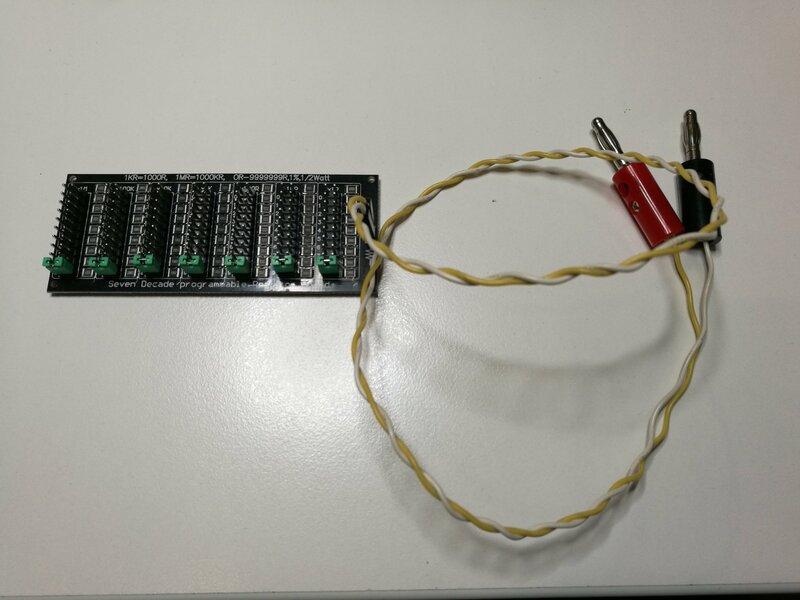 I tested the board with insulation resistance meter at 250V DC test voltage, and there board worked well at several resistance values (10 Mohm, 2Mohm, open circuit) without any issues.